BlizzCon 2010 lives in infamy inside the walls of Blizzard. It’s the moment Ian Bates – “Red Shirt Guy” in World of Warcraft circles – sent the development team back to school. Taking the microphone in a packed hall, Bates asked a question so unexpected, so specific that it stumped the assembled experts on the convention’s lore panel. His stilted, monotone delivery (which he later attributed to both nerves and a mild case of Asperger’s) led to the video of his cross-examination going viral. The crowd cheered. 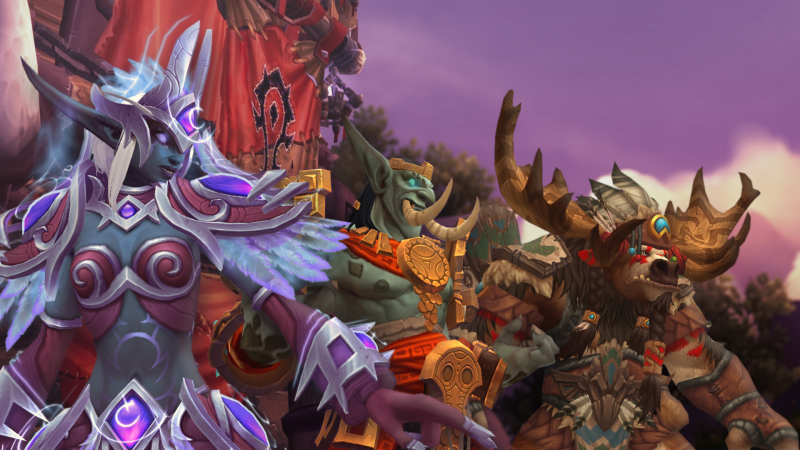 Alex Afrasiabi, World of Warcraft’s creative director, thanked Bates for pointing out the discrepancy and, somewhat sheepishly, promised that the team would “get that fixed.” They did. 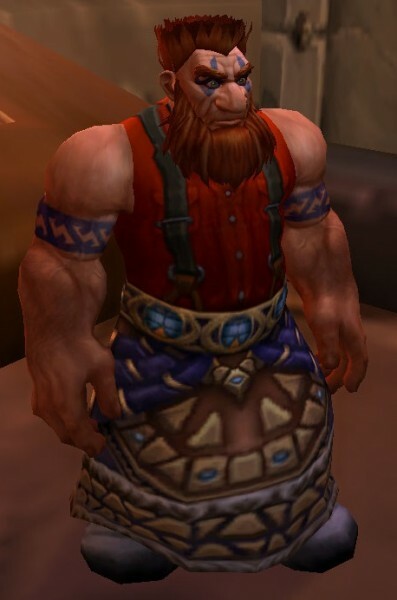 By the time the Cataclysm expansion launched, Falstad, not Kurdran, was a member of the Council of Three Hammers. 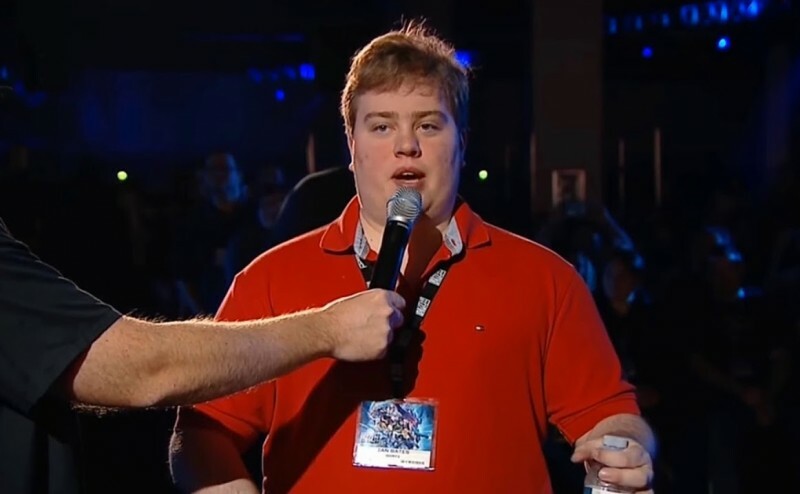 What’s more, a new character, Wildhammer Fact Checker, wearing a red shirt like the one that became synonymous with Bates, was added into the game. To a certain degree it was a comical moment – shades of Homer Simpson fielding questions about escaping the dungeon without the Wizard Key in the Itchy & Scratchy CD-ROM. But when treated with the gravity with which Blizzard ultimately did, it highlights a difficulty facing many creators in 2018: this is an age of connected cinematic universes and weaponised nostalgia, of decades-old franchises and endless debates about what is and isn’t considered canon. No developer faces this problem to the same degree as Blizzard. Ion Hazzikostas is World of Warcraft’s game director. He’s in charge of a video game that is itself 14 years old, but contains lore that dates back even further. The Warcraft universe’s narrative seeds were planted in “the RTS games and literally the instruction manuals written by Chris Metzen in the mid-’90s,” he says. That sprawling tale now stretches across 23 novels, 10 comic book series (the most successful running for 25 issues), three real-time strategy titles (and their two expansions), World of Warcraft and its expansions (of which Battle for Azeroth will be the seventh), a Hollywood movie (with two of its own spinoff novels), and oddities like Heroes of the Storm and Hearthstone (with its nine expansions and four adventures). Given that Blizzard has, for the most part, refused to jettison canon and wipe the slate selectively clean (à la Disney when it purchased LucasFilm), Warcraft’s lore dwarfs that of even Star Wars. It’s a complicated web of orcs and humans, magic and madness, dragons and druids, spread over generations of conflict. 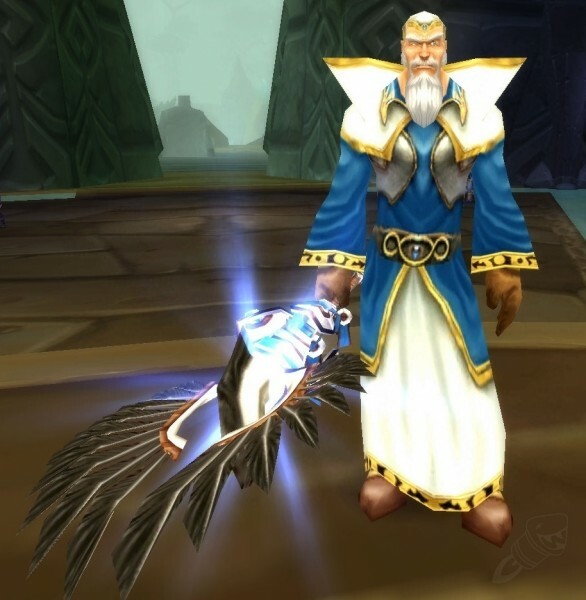 Within Blizzard, a team of three lore scholars handle the all-important (but admittedly bizarre) task of knowing where the keys to the kingdom were left all those years ago. 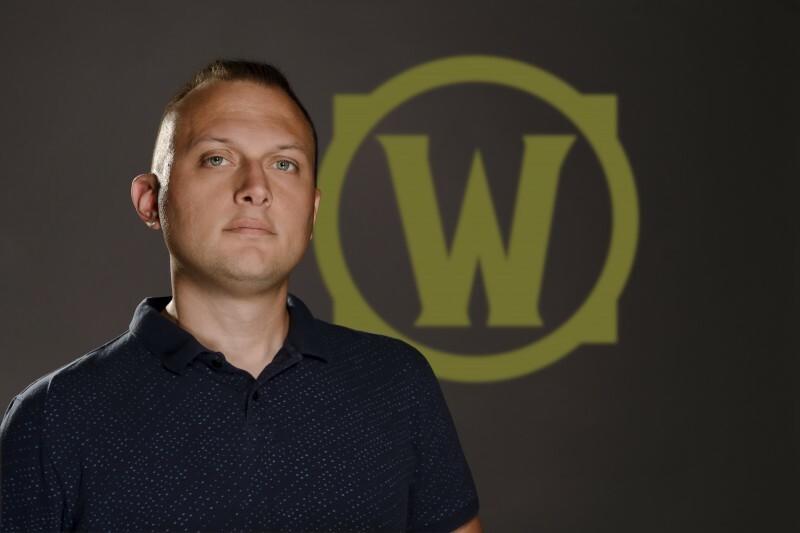 “On any given day, our group is likely fielding lore and research requests made by our internal [dev] teams, reviewing publications and lore content for our publishing teams, hosting lore seminars for on-boarding and educational needs, and participating in story rooms and creative sessions,” he explains. 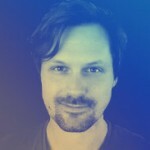 When a developer working on World of Warcraft has a query related to an in-development storyline, they turn to Copeland and his team. These questions can range from the intricacies of familial relations and the timeline of key historical events, to lists of foods that are known to exist canonically within a universe. Occasionally, they’re even weirder. “One moment I’ll never forget comes from our time supporting the development of Wrath of the Lich King,” Copeland says. “One of the resources we historians maintain is a language and pronunciation database for specific phrases and terms. Our Warcraft section covers numerous languages such as Eredun, Taur-ahe, Zandali, and even the language of the Old Gods, Shath’yar. While some of those languages are easy to teach, Shath’yar is one of the most difficult to not only read, but to speak aloud. With walking encyclopaedias like Ian Bates, fans who will notice even minor continuity errors, Copeland’s historians are a crucial part of the development team, especially when writing new quests. Occasionally their research reveals an irreconcilable conflict between the past and the planned future, and the new storyline needs to be altered. “It’s most often small things – things where we realise we’d be setting ourselves up for that Red Shirt Guy moment,” Hazzikostas explains. “Going back to the Cataclysm expansion, at the end of the first raid tier, the final boss was the black dragon Sinestra. We wanted a red dragon to come and join players in the fight and ultimately sacrifice himself in order to enable their victory. “There was a well known red dragon named Krasus, who was the male companion of Alexstrasza, leader of the red dragons, and he would have had a real bone to pick with Sinestra. It would have made a lot of sense for him to be there. He was an important figure that people would definitely recognise, and his sacrifice would have been meaningful. Bound by the lore, the logical – possibly even the best – scenario had to be jettisoned to adhere to the story told thus far. Time, eventually, makes fools of us all. Blizzard, on rare occasions, does decide that an inconvenient fact is simply more trouble than it’s worth. In these instances, there’s no choice but to face the wrath of the forums and alter the past. There’s also an established pecking order that limits the need for the dreaded retcon. “Hearthstone definitely doesn’t count. Heroes of the Storm definitely doesn’t count. 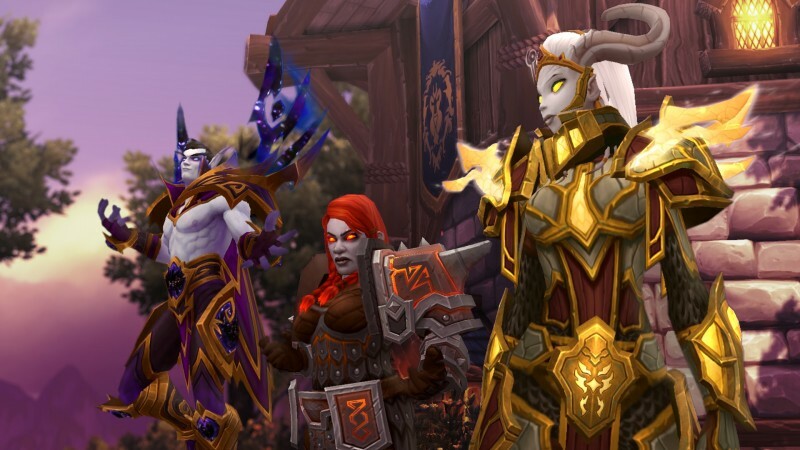 World of Warcraft is the anchor, and then it’s expanded upon by related books and other pieces,” Hazzikostas explains. Every now and then, however, something from lower in the hierarchy necessitates changes up top. It’s easier to patch an online game than it is to reprint a novel, after all. 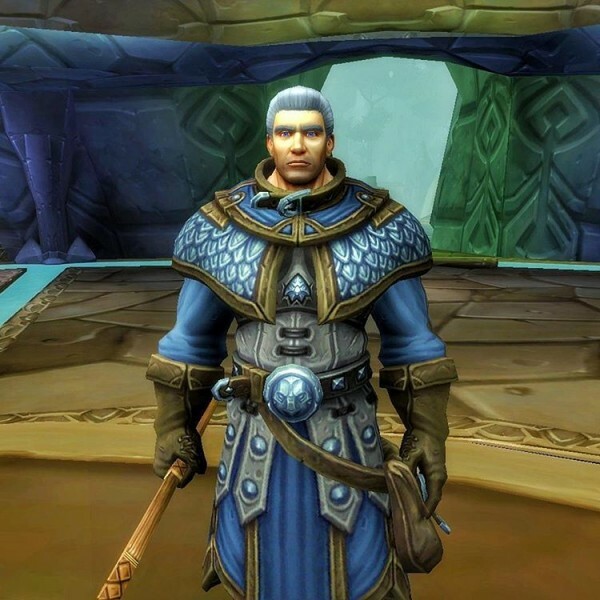 “Khadgar, who was prominent during the Hollywood movie, was much younger in the film than we had imagined him being at that point in time,” Hazzikostas says. 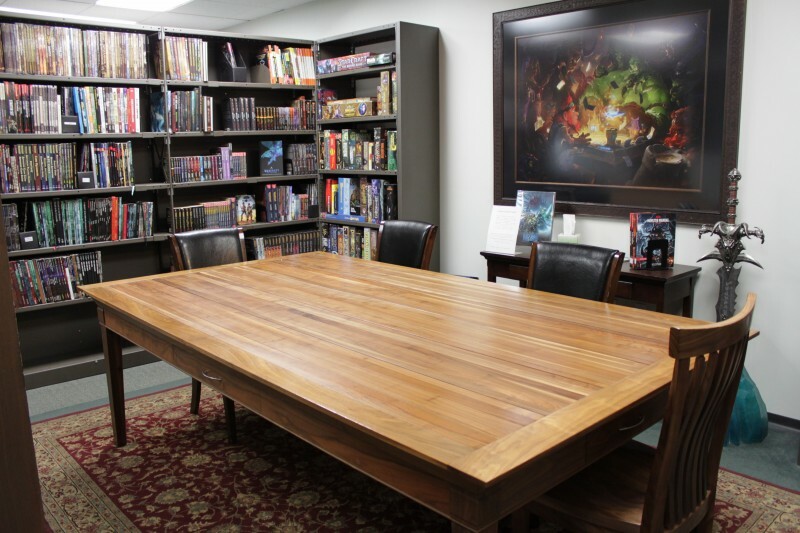 Blizzard HQ has a library for staff on-site, a treasure trove of everything the developer has ever released. A key piece of the collection is the multi-volume World of Warcraft: Chronicle, an attempt by Blizzard to be less reactive with its lore and establish an easily accessible canon. "One of the goals we had while creating these books was to craft a truly cohesive and compelling guidebook that covers the history of the Warcraft universe, from its origins to now," explains historian supervisor Sean Copeland. "As a story that’s been evolving for decades, there's been a noticeable change or two in the narrative. Identifying those sources of potential misunderstanding was imperative for the project as it went along, especially in our efforts to provide lore guidance for the stakeholders. That guidance enabled them to make informed rulings that impacted the entire universe." Ion Hazzikostas, World of Warcraft's game director, says, "Most developers on the team have a copy of those books on their desk as a first reference when a question like this comes up, and then we only really bug our archivist if it's a really obscure thing or anything very thorough." Just as historians celebrate humanity’s achievements and shine a light on our darkest moments, Blizzard’s historians make sense of a complicated world. Without an understanding of Azeroth’s past, finding meaning in the future is impossible amid the chaos. For Hazzikostas, the weight of history is both blessing and burden. He was in the hall the day Ian “Red Shirt Guy” Bates made Blizzard lore of his own, and he reflects on the moment fondly (perhaps, in part, because he wasn’t sitting on the panel). That passion for the past, a history he helped create, makes shaping Warcraft’s future all the more worthwhile, he says. David Milner's love of games started in the arcades, before the Sega Master System hooked him for life. Bloodborne is his favourite game of all time.